19 Days To Go. Are We Really Ready For The Repeat Election? Home / News / Opinion / Politics / 19 Days To Go. Are We Really Ready For The Repeat Election? All eyes are on the Independent Electoral and Boundaries Commission (IEBC) as they prepare to conduct the October 26, 2017, repeat election. The question on every Kenyan's mind is about their preparedness and integrity, especially after the August 8 drama. Are we ready for round 2? When the Supreme Court of Kenya annulled the Presidential elections, Kenyans found themselves in unfamiliar territory. Pressure from the opposition outfit, NASA was intended to have the electoral body officials to resign. Although this has not yet happened, recent developments raise questions on IEBC's preparedness. First, they made it official that the election would be held on October 17. However, after deliberations and admission from IT firm, OT-Morpho, that the time was not enough to set up the systems for the repeat election, the date was moved again to October 26. 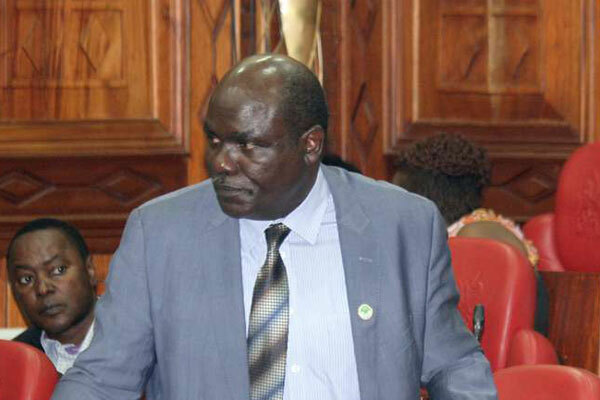 On Thursday 5 October, Mr. Chebukati, the electoral body's chairman, showed up to the joint select committee collecting views on the proposed amendments on electoral laws alone. He was sent away for turning up without other members of the commission. Although he later returned with other commissioners, subtle hints like these raise questions on the body's credibility and organization. Furthermore, on Friday 6, the chairman announced that the presidential elections project team has been reconstituted. David Towett (Operations), Albert Gogo (Election Technology), Sidney Namulungu (National Tallying Centre), Tabitha Mutemi (Communications and Outreach) Salome Oyugi, (Legal and Compliance) and Agatha Wahome (Finance and Administration). Those left out from the team are Silas Rotich, Nancy Kariuki, and Bernard Misati Moseti. It also emerged that the changes were agreed upon after the Naivasha retreat. IEBC commissioners and the secretariat had held talks after five commissioners accused Chebukati of making unilateral decisions. The IEBC chair said the current secretariat headed by Chief ExecutiIve Ezra Chiloba will not play an active role in managing the upcoming elections. Meanwhile, the opposition made a statement that they had not come to any agreement with the electoral body and starting next week, they would call for demonstartions three times a week. The ruling party, however, through Deputy President William Ruto says they are ready for the election. We wait to see how this goes, but signs already show that turn out may be lower than expected.